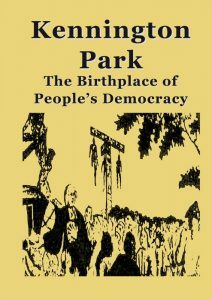 Stefan’s Szczelkun leaflet ‘Kennington Park – The Birthplace of People’s Democracy’ was originally published by South London radical history publishing project Past Tense in 1997 and is now in its 3rd reprint. 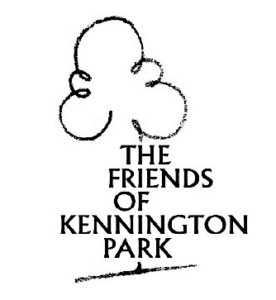 “A short one hundred and fifty years ago Kennington Common, later to be renamed Kennington Park, was host to a historic gathering which can now be seen as the birth of modern British democracy. In reaction to this gathering, the great Chartist rally of 10th April 1848, the common was forcibly enclosed and the Victorian Park was built to occupy the site. Stefan Szczelkun is an artist who publishes books, and videos on class and culture in response to specific places or communities. 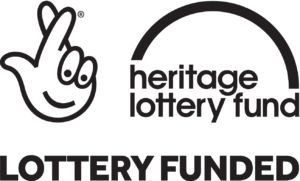 Stefan lived in St Agnes Place, in Kennington Park, from 1981 – 1996, then built his own house to the North of the park in Sharsted Street, where he lived for a further ten years. During these years Stefan made various works concerned with Kennington Common as a contested space, which include a pamphlet, posters, video, walks, and an archive of reference materials. These works continue to be an influence on a younger generation of artists.